Friends! First off let me start off by thanking you from the bottom of my heart for all the supportive comments you left me in the last post. This has truly been one of the more difficult times in our life and your kind words really helped to uplift me and the fam. Things are still a little rocky, but for the first time last night I began to feel safe in our house again – and it was such a relief to go to bed without a anxiety pit in my stomach. I’ve been trying to distract myself and feel control by giving myself small projects to take on. Last week I was able to check off an item on my home-to-do list that had been sitting there for a good five years. Friends, the Allen fam now has a working doorbell! I forever held on to dreams that I would masterfully figure out how to rewire the original doorbell. Like a lot of older homes, our doorbell wires had been cut years ago during a previous owners renovation. Usually connecting the wires back together or replacing the transformer is all it takes to get a doorbell up and running. 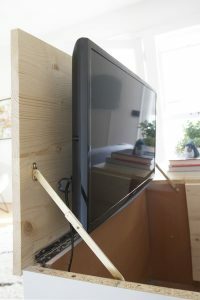 In our situation the wires had been cut and the chime had been removed long ago. To take on the proj of rewiring the doorbell would have meant that I would have to fish wires through the existing lathe and plaster walls and that just didn’t sound fun to me. The basement reno just happened to be the the nail in the coffin for my doorbell dreams. We sheet rocked the whole basement in, so there was no way I was accessing doorbell wiring now (too bad, so sad). I just decided to give up on the dream of having the doorbell work again. 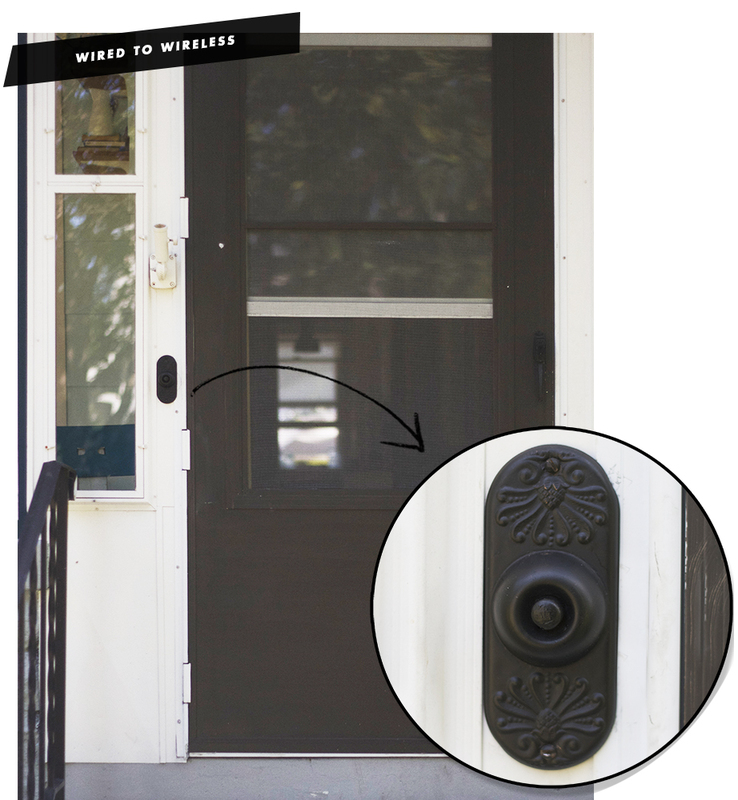 I begrudgingly began researching wireless doorbells and to my surprise might have discovered a new solution to save homeowners from having to replace antique doorbells with gross modern plastic wireless bells. I win! NuTone makes this 3″ long push button doorbell, meant for simply being recessed next to a door. Being that the profile is so petite and the width so slim, I wondered if maybe I could hide this wireless push bottom behind my antique doorbell escutcheon. This would allow the vintage button to trigger the newer wireless push button cleverly hidden behind it. Following me here? Well, it totally worked, and I couldn’t be more pleased with myself for my super smart and genius hack. 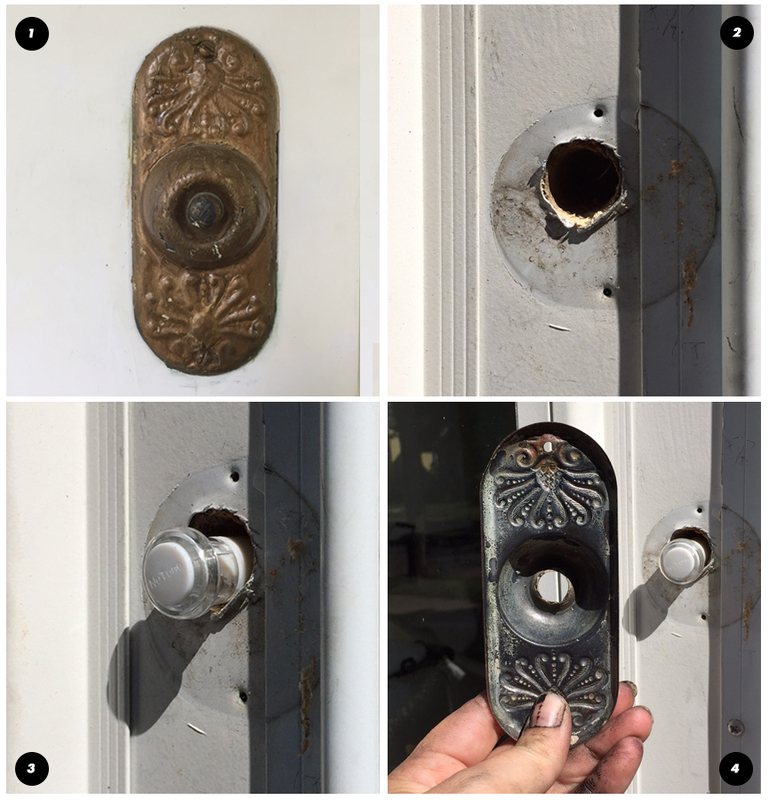 1. remove doorbell and disconnect from wires – i choose to strip the gold paint off of mine. 2. using the 3/4″ bit bore out a hole, being that I didn’t want my pushbutton to be flush I took care in boring it so the push button protruded apprx 3/4″. Also, this crazy-man-wielding-a-gun-and-threatening-to-kill-a-child-thing couldn’t have happened at a better time *please notice the extreme sarcasm* it really ramped up my desire to clean and purge to gain some sort of control over my home, so I’ll have some good organizing posts to share with you later this week! You are so smart! Staying busy is definitely a great way to keep your mind occupied. Hey! Sorry for the delay. Yes I used the original push button, so the original pushes on the new one and triggers the chimes. Hi, this is exactly what I am hoping to do with a new wireless doorbell set. I want the function of the wireless technology, but with the vintage charm. Do you have the specific product number for the NuTone wireless push-button that works with the plug in transformer? 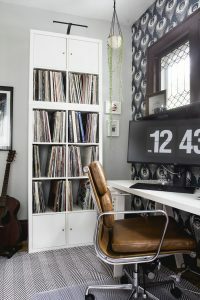 I am having some difficulties locating this type of product or equivalent online.